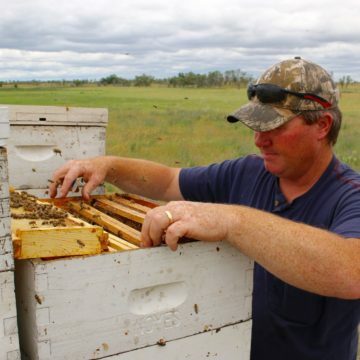 Three North Dakota beekeeping operations are being featured in a national drive for Americans to know who their honey comes from. 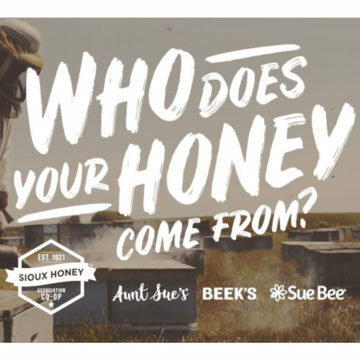 Amongst its 270 members, Sioux Honey Association Co-op selected Mason Maxwell and Josh Freeman of Turtle Lake and the Nissens of Minot to be faces of the “Who Does Your Honey Come From” campaign, which started December 17, 2018. “From the beginning to the end, the honey has been produced by us, processed by us and Sioux Honey finishes the process,” said Maxwell of Thomas Honey in Turtle Lake. Along with Five Star Honey and Josh Freeman, Maxwell and his son appear in the nationwide ad which highlights the challenges of beekeeping and the persevering nature of America’s beekeepers. Five Star Honey is a family-run business as well, named after Will Nissen, his wife Peggy, and their three boys – Matt, Levi and Evan. Both Will and Matt appear several times in the ad. 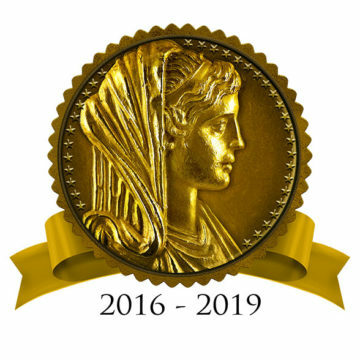 All members of the Nissen family are actively involved in the day-to-day operations of Five Star Honey. “I think my sons can see that there’s a future in bees, and it’s a good, solid future,” said Will Nissen.